Our goal is to connect people with the best local experts. We scored home inspectors on more than 25 variables across five categories, and analysed the results to give you a hand-picked list of the best home inspectors in St. Louis, MO. Since 1994, A-Pro Home Inspection Service is a well-known home inspection service company with offices throughout the US including the St. Louis area. They strive to help clients make better and more informed decisions when they sell or buy a home. They provide a free protection 120-day guarantee for all clients in St.Louis, a detailed client report, 500-point inspections, and a free foundation level survey. AHIS Inspection and Radon Testing Services is a St. Louis-based company that has been serving the Metro East since 2006. They perform home inspections or radon tests that are informative and educational for the client during the entire process. Their staff is available to answer questions, explain what things are and how they work, and how they should be maintained and operated. Their services include home inspections and radon inspections with detailed quality reports. Brewer Inspections has been serving the St. Louis area for over 25 years. All of their inspectors are ASAHI members, and they provide clients with valuable information and resources, inspection checklists, term definitions, tips, and relevant data during the inspection process. Their inspection services include home checkups, condo and townhouse inspections, multi-family building inspections, radon gas testing, termite inspection, and more. They received an A+ rating from the Better Business Bureau and are affiliate members of both the St. Louis Association of Realtors and the Jefferson County Board of Realtors. Since 1995, Candid Home Inspection Service in St. Louis has been providing ASHI-certified home inspections. They provide detailed narrative reports that include pictures so that clients have a better understanding of inspection items. These reports can be accessed at any time. Their services include home inspections, certification reports, radon testing, among other services. Since 1986, Criterium - Hardy/McMahaon Engineers has been providing home and commercial building inspections in the St. Louis area. Affiliated with Criterium Engineers, they are part of a network with more than 60 locations and 150 professional architects and engineers. Their company has established a solid reputation for professionalism and confidence that is shared by all affiliates within the organization. They provide a wide range of consulting engineering services including pre-purchase home inspections, structural inspections, insurance claim investigations, new construction monitoring, and commercial inspection services. Galloway Building Services is a St. Louis-based home inspection service that specializes in resolving conflicts between contractors and clients. They assist in resolving these difficult situations by providing honest answers about the state of the property with solutions while remaining impartial. Their services include contracting inspections, construction conflict resolution, and home and business inspections. Hasheider Home Inspection is run by Aaron and Mark Hasheider and serves the St. Louis area. They help home buyers and sellers by providing a professional, unbiased opinion on the current condition of any home. During each inspection, they look at the past prosthetics and concentrate on the major systematic and structural components of the home. After every inspection, they provide a detailed written report to help customers make the best possible decision. Their services include home inspections, pre-market inspections, and radon inspections. Inspections Complete, LLC Is a locally owned and operated company that was formed by Dan Sandweg in 2007. They provide certified real estate inspection services throughout the St. Louis metropolitan area. ASHI-certified with years of experience, their service includes communication and education, and a thorough inspection that identifies any possible home defects. They also provide a narrative report that is generated and delivered by email within 24 hours once the inspection is completed. For the past ten years, Matthew Jardine at Jardine Inspections has been performing ASHI certified home inspections to include easy-to-understand reports for home sellers and buyers. This company has conducted thousands of inspections in the St. Louis area. Their services include home inspections, radon monitoring, and termite reports. The pricing for a home inspection ranges from $300-$500, depending on the size of the home, the selling price, and any additional features that may require a more detailed inspection. Midwest Inspection Service, LLC, led by lead inspector Eric Engebretson, provides comprehensive home inspection services for home buyers, sellers, and realtors in the St. Louis area. They meet or exceed all national standards that are set by certified home inspection organizations. This company only uses skilled professionals to help customers have a clear understanding of the condition of any home. Their home inspection services include home structures and systems. Since 2002, Moore Home Inspection Services has been serving the St. Louis area and has performed hundreds of inspections each year for home sellers, buyers, and real estate professionals. They have earned a reputation in the area for providing first class service and quality inspections. Their lead inspector, Rick Michalicek, is a full-time licensed ASHI-certified inspector committed to customer service and ongoing inspector education. Moore Home Inspection's services include residential building inspections, radon gas testing, and termite and sewer lateral inspection services. Realty Property Inspectors is owned by Mike Smith and is a top-rated home inspection service in the St. Louis area. Their goal is to offer the best affordable price while providing a professional quality, up-to-date home inspection. They offer a complete home inspection that follows InterNACHI standards as well as a customized home energy report. A PDF and printed home inspection report are also provided to include information that is helpful for homeowners. Their services include home inspections, home energy checks, environmental inspections, and certifications. Headed by CEO Bill Boerner, STL Home Inspection Services LLC has over 30+ years of combined construction experience. They are ASHI, IAC2, and Master Board Certified. They specialize in existing, new, historical, and commercial properties, and only use professionally-calibrated equipment. 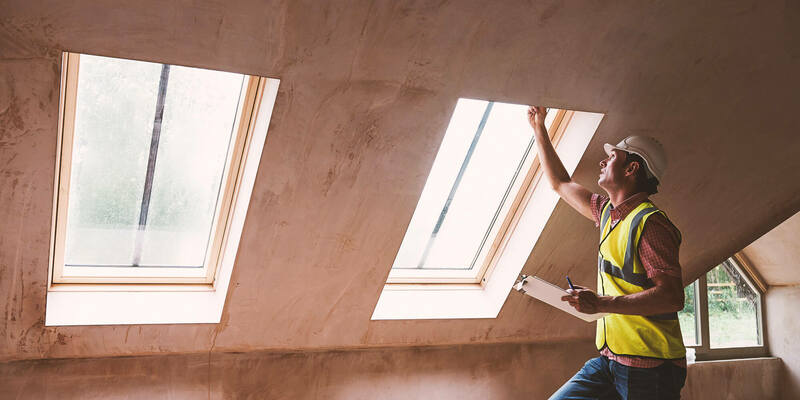 Their services include home inspections for roofing, structural components, HVAC systems, plumbing, insulation and ventilation, home interior visual inspections, among other inspection services. Wall 2 Wall Home Inspection Services is located in St. Louis and provides home inspection services for the Metro East on both sides of the river. They offer detailed home inspections that include an honest and informative report that assists buyers and sellers with the home buying process. Their inspection services include interior areas, exterior, foundation, electrical, plumbing, and much more. Prices range from $200-$350 depending on the size of the home, and additional services may have extra fees. They will match or beat any competitor's pricing.